Our friends Jill and Gary Campbell have lived in Ethiopia for more than 20 years. Gary ran a business which managed construction projects, while Jill taught in the international school. 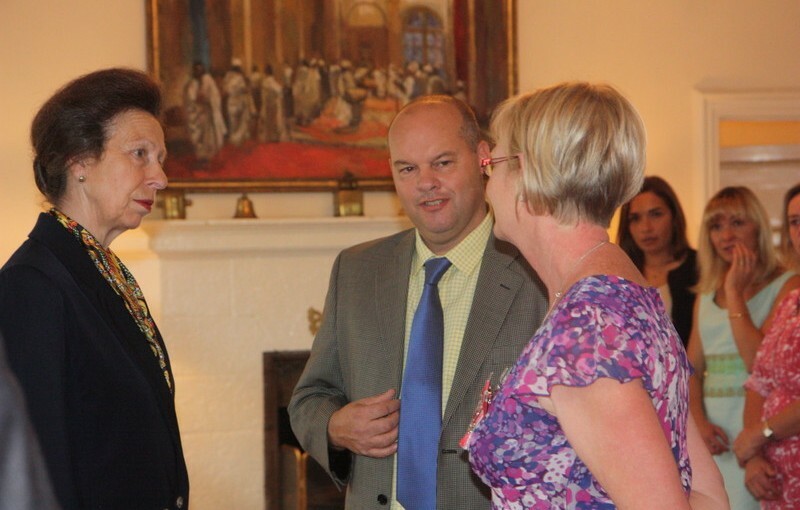 Jill also set up and ran the Addis Ababa Food Run, providing food, support and shelter to homeless people, for which she was awarded the MBE in 2014 (see photo above). Their children, Joshua and Hanna, who are also British citizens, left Ethiopia this summer after finishing their International Baccalaureate exams and securing places at Swansea and Loughborough Universities respectively. But Joshua and Hanna have been told that they do not qualify for a student loan from the UK government, because they have not lived in the UK for three years. David Cameron says he believes in a Big Society, in which people take responsibility and volunteer. If we want to encourage British citizens to make the kind of enormous contribution that Gary and Jill have made to Ethiopia – enough to earn Jill an MBE – then it makes no sense to penalise their children by refusing them a student loan. The rules governing student finance have long created problems for the children of diplomats (including, back in the last century, me), aid workers, and other public servants and private citizens working abroad. It is time we removed this unfair discrimination against the children of people who work abroad. That would be an example of policy coherence. If you want the UK government to change this unfair rule, please sign the petition here. Previous Previous post: Is the UK putting its own interests ahead of the poor in its new aid strategy?